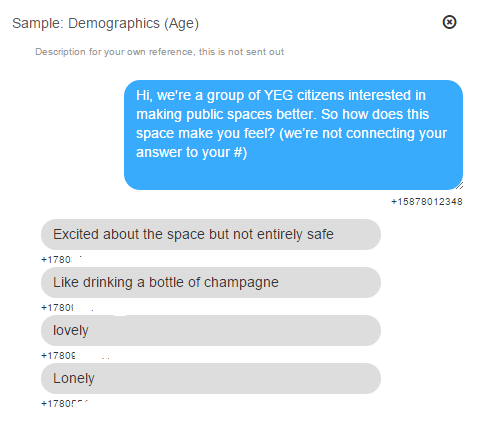 Based on the success of cell phone text-based (SMS) voting in applications like American Idol and the US-based Textizen, BCYEG encouraged the creation of a DIY sms-voting tool. BCYEG is looking for organizations or individuals who want to make use of this tool. SMS voting is a useful tool for public input, as over 90% of the Albertan homes have a mobile phone while only just over 60% have a smartphone. SMS-voting allows for 30% more of the population to participate in information gathering campaigns. 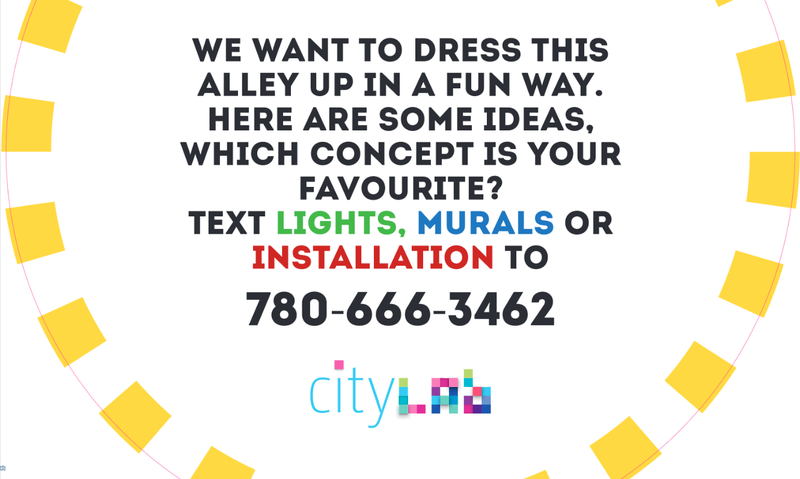 Below are a couple examples including one from 100 in 1 day 2016 with Edmonton’s CityLab, a poster used to help people understand whether they are in an abusive relationship, and a council project addressing urban isolation. The group could explor using stencils and temporary spray chalk to allow for surveying anywhere in the region. Here’s the open source code for Textizen, a US sms-voting project. The documentation has not been kept up to date, so our project did not utilize this repo.